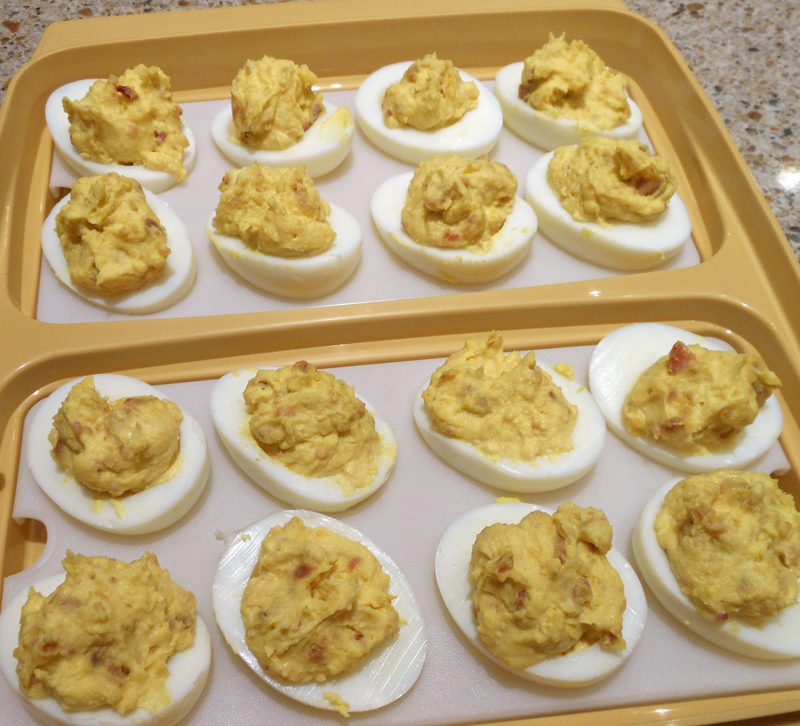 These are a twist to the classic deviled eggs. Slice eggs in half lengthwise; remove yolks and set whites aside. In a small bowl, mash yolks. Stir in the mayonnaise, bacon, cheese, mustard and pepper*. Stuff or pipe into egg whites. Refrigerate until serving. * I put everything into my food processor and pulsed until smooth.